“As a black, LGBT woman on this campus, too often have I heard that things are great here,” Kenedi Kelley, senior in American ethnic studies, said to an audience in Bosco Plaza on Monday evening. Kelley, co-president of Feminists Igniting Resistance and Empowerment (FIRE), spoke as part of the Take Back Our Lives rally. 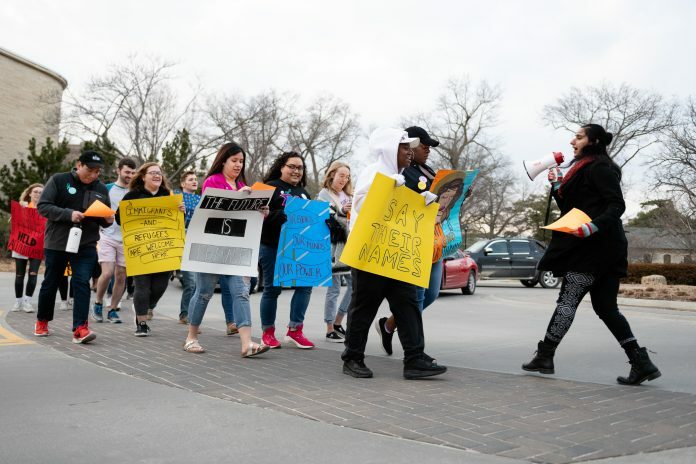 FIRE hosted the rally with other campus organizations including the K-State LGBT Resource Center and the Center for Advocacy, Response and Education to protest violence toward oppressed groups and sexual violence. 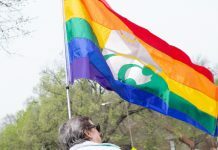 Kelley said that when asking about racist, homophobic or xenophobic attitudes, she is often met with denial that these attitudes are present in the Manhattan community. Members of FIRE spoke to an audience of K-State students and faculty and members of the Manhattan community about their experiences with racism, sexism, oppression and violence. The speakers encouraged attendees to speak out against violence and oppression and fight to be heard. 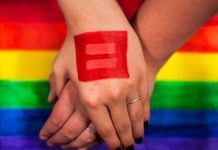 “We have to take back our lives from the violence we experience every single day, however minuscule it is,” Brandon Haddock, coordinator for the LGBT Resource Center, said. After the scheduled speakers, the mic was open for anyone in attendance to speak. Several students shared their experiences, and some shared poetry and raps they had written about feeling oppressed. 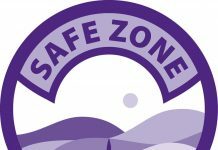 Stephanie Foran, survivor advocate at CARE, shared poetry from the book “Purple Pride,” a collection of narratives by K-State students detailing their experiences with sexual assault and violence. Foran said works like “Purple Pride” should serve as a reminder that sexual violence is something that can happen anywhere, and she said it can’t be ignored in the Manhattan community. Members of FIRE also lead attendees on a march through Aggieville, holding signs protesting violence, victim blaming and injustice for marginalized groups. Simrun Hundal, senior in geography and international studies and secretary of FIRE, said the purpose of rally was to make sure every member of the K-State community can feel like they belong. Hundal said reminding minority students that they are not alone on campus is vital to fighting oppression. Members of FIRE and other speakers said there is hope for ending violence against and oppression of all groups if people are willing to work with and speak up for one another. “Remember that above all else, you deserve to feel safe and happy,” Kelley said. “You deserve to wear the clothes that make you feel comfortable, to use the name that makes you feel like you and love who you love.